Our girls love Lego Ninjago! 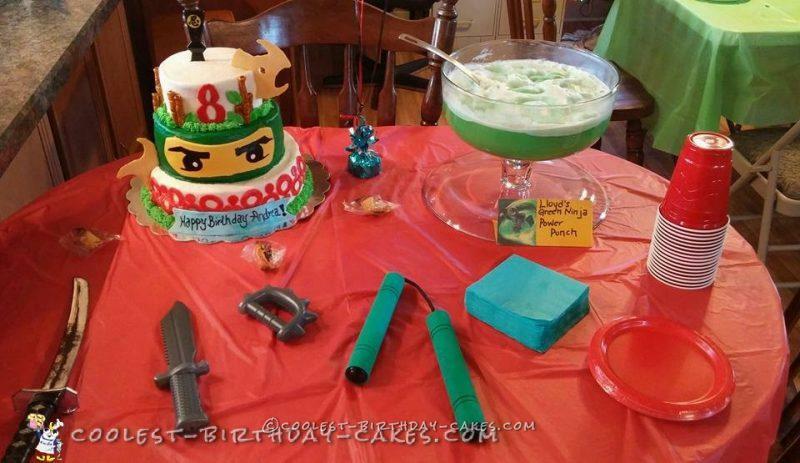 Our youngest wanted a Ninjago party. Her favorite character is Lloyd. The cake is iced with buttercream. The bottom tier has red cut out fondant circles. The middle is iced green for Lloyd with a fondant mask, I used food color marker for his eyes. 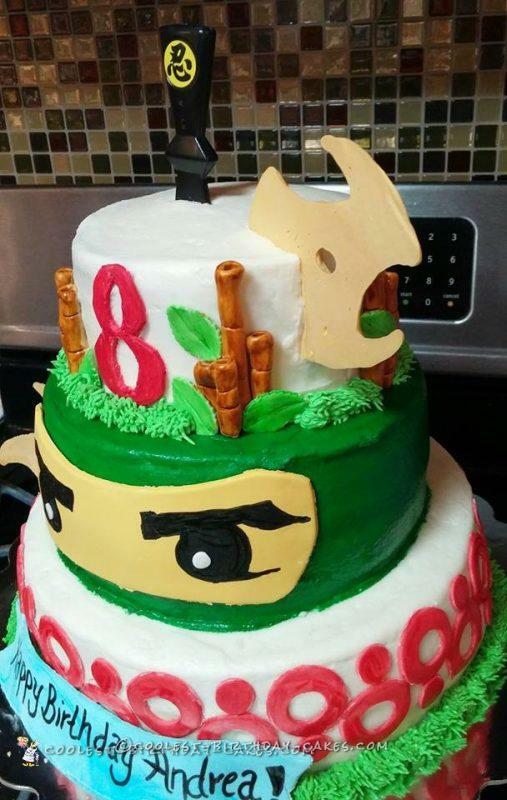 The top tier has fondant bamboo and leaves and buttercream grass. I also made some throwing starts out of white chocolate with a little gold food gel and then brushed with gold luster dust. The only thing that is not edible is the black toy knife on top. 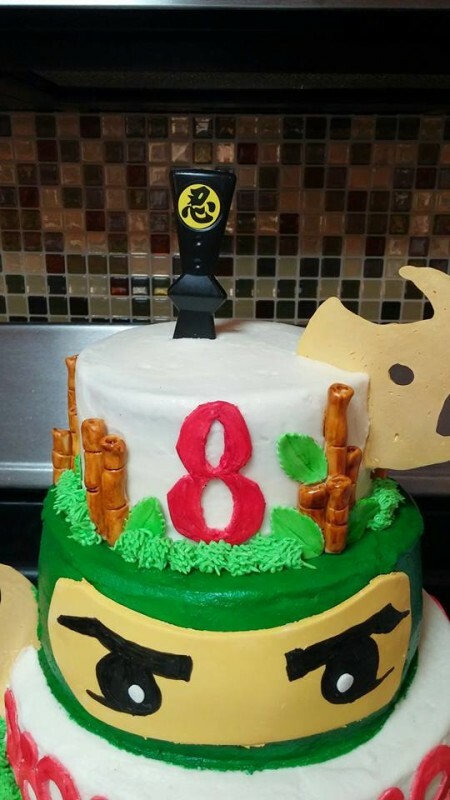 This is my favorite cake. I love it!